Crockpot Chili, this crockpot chili goes together in minutes, is slowly simmered for hours and which makes for max flavor! Slow cooker Chili is an easy recipe for the best chili ever, plus I’ve included stove top and oven directions! Classic Beef Chili, is one of those iconic comforting dishes we all make again and again. I have been making this recipe for years and years and it is the best we have ever tasted. It’s super simple, just tomato sauce, ground beef, pinto beans, and lots of spices. 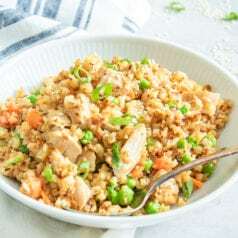 Normally, I will make it on the stovetop or even in the oven, but I wanted to make an even easier version – in the slow cooker! Take me to the recipe for Crockpot Chili already! 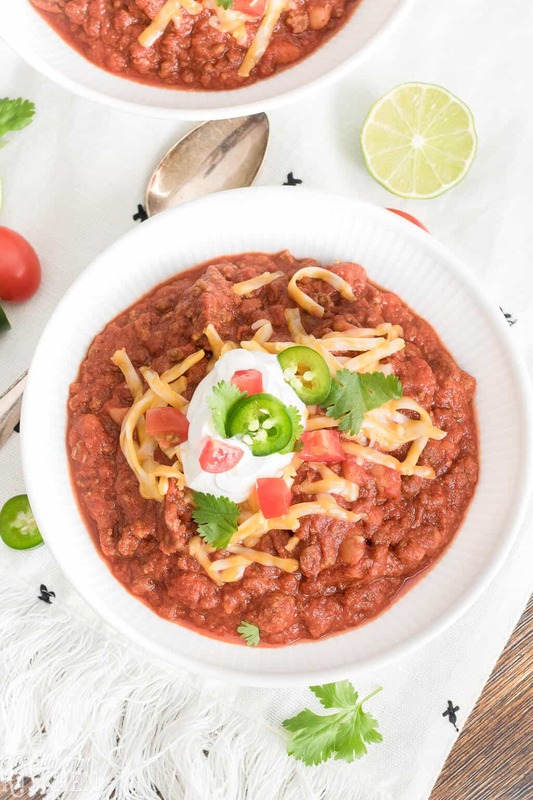 If you would rather not hear my super helpful tips and tricks, FAQ, and my overall awesomeness and get straight to this delicious Crockpot Chili – you can very easily scroll all the way to the bottom of this post for the full printable FREE recipe! Bon appetit. 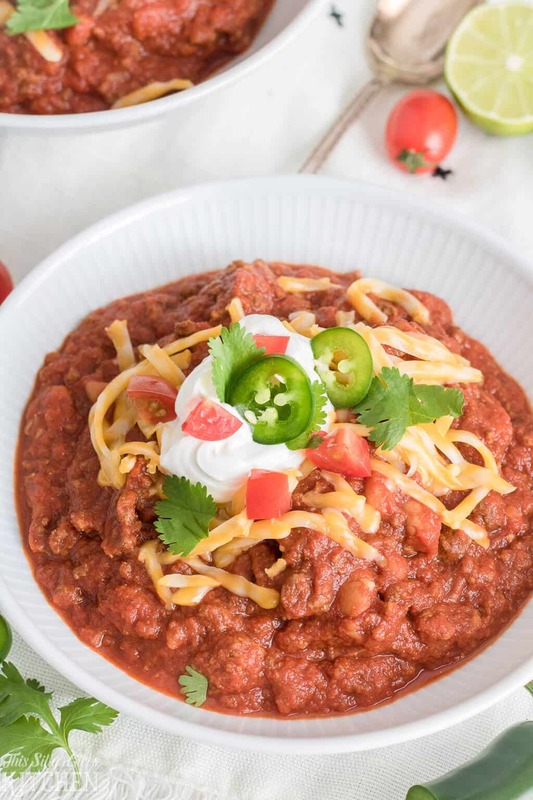 This slow cooker chili recipe literally goes together in about 10 minutes, then just throw everything into the slow cooker and don’t think about it again for another 4-10 hours. Yes, 4-10 HOURS. This is the beauty of this recipe, it can keep on cooking for 10 hours and it’s fine. 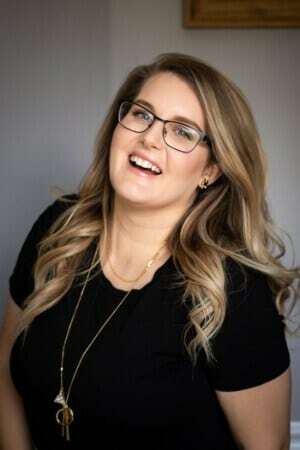 When I used to work outside of the home and I had my slow cooker working away, I always was kind of nervous about what I might come home to. A lot of the time my dinner would be dried out. But not with this recipe, basically, the longer it cooks the better it gets and no need to worry if you have an extra long shift at work! Chili Crockpot recipes are my new favorite thing! 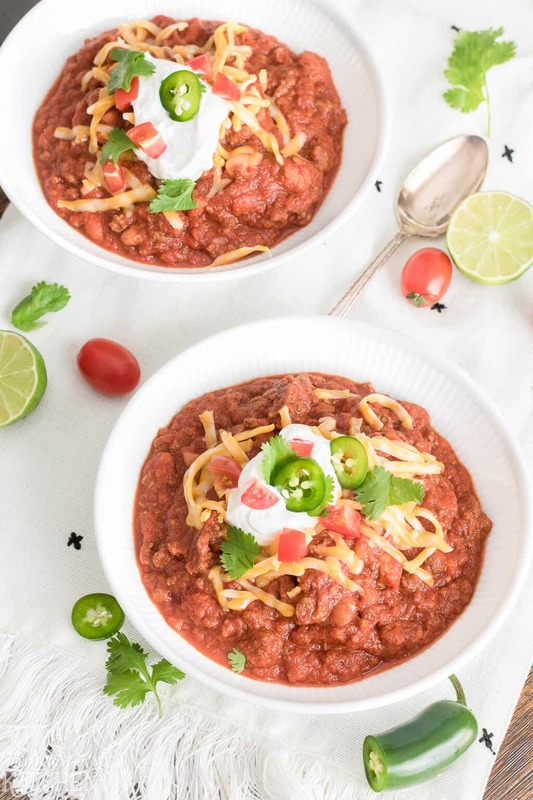 When I made this chili recipe, I put everything for it together the night before, even as far as placing everything into the slow cooker and popped it into the fridge overnight. Then, when I was making my coffee the next morning, I just placed the slow cooker pot into the base and turned it on low, so this is a fantastic option as well. Since I was home while it was cooking, I did stir it every few hours but it really didn’t need it. I tasted it at the four-hour mark and it was delicious and ready to be devoured. But, I kept letting it go all day until Jeremy got home and we had dinner, it was on a total of about 10-11 hours and just kept getting better and better throughout the day! Brown ground beef in a large pot over high heat, you want a good sear here. Drain off the excess fat. Place pot back on the burner, add spices and “fry” the spices in the remaining fat and mix everything together, about 3 minutes. This helps to have an extremely flavorful chili. 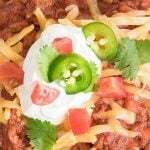 Dump cooked ground beef into the slow cooker, add crushed tomatoes, and pinto beans. Cover, cook on low 4-10 hours. 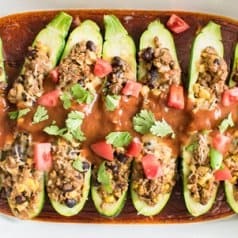 Serve with your favorite chili toppings like cheese, sour cream, cilantro, and jalapenos! Same as above, brown the ground beef over high heat in a large pot. Drain off the excess fat. Add dried spices to the ground beef, stir to combine and let cook for about 3 minutes until the spices bloom in the remaining fat. Add the pinto beans to the pot with the crushed tomatoes. Stir everything to combine. Simmer chili on medium-low to low heat covered for 2 hours, stirring occasionally to make sure it doesn’t scorch on the bottom. I personally suggest using the slow cooker or oven chili options. That way you know you don’t have to worry about it potentially burning. Preheat oven to 250 degrees. I suggest using a dutch oven for this version. Again, brown the ground beef over high heat, drain the fat. Season meat with the dried seasonings, mixing them into the beef. Let cook until fragrant, about 3 minutes. Add the beans and the tomato sauce, mix together. Cover and place in the oven for 2-4 hours until the desired doneness, you can check on it occasionally and stir it. If you like this recipe make sure to check out my White Chicken Chili, Slow Cooker BBQ Beef Sliders, Crockpot Swedish Meatballs! Don’t forget to try The BEST Slow Cooker Beef Tips! Click here for The Best Slow Cooker Beef tips recipe. Large skillet to brown the beef. Slow cooker to cook the chili in. Cutting boards to prepare garnishes if desired. I love these non-slip ones. Chef’s knife to chop garnishes. Large pot if you are making the stovetop version. Dutch oven if you are making the oven version. Slow Cooker Chili, an easy recipe for the best chili ever, plus stove top and oven directions! In a large skillet over high heat, brown the beef, breaking it up into crumbles. Drain, return to skillet over medium heat. Add the seasoning packets and all the dried seasonings. Mix to combine and cook an additional 3 minutes so the spices become fragrant. This is an important step and why this chili is so good! Pour ground beef into the slow cooker set on low. Add the remaining beans and crushed tomatoes. Stir to combine. Cover and cook for 4-10 hours, stirring occasionally, every few hours if you can. 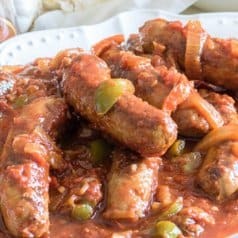 Alternatively, you can make everything and place into the slow cooker pot the night before, placed in the fridge, and in the morning, pop it into the base and turn on low, still cook 4-10 hours. * Yes, this seems like a lot of extra seasoning, trust me, it's the right amount! Refer to https://thissillygirlskitchen.com/slow-cooker-chili/ for stovetop and oven directions. 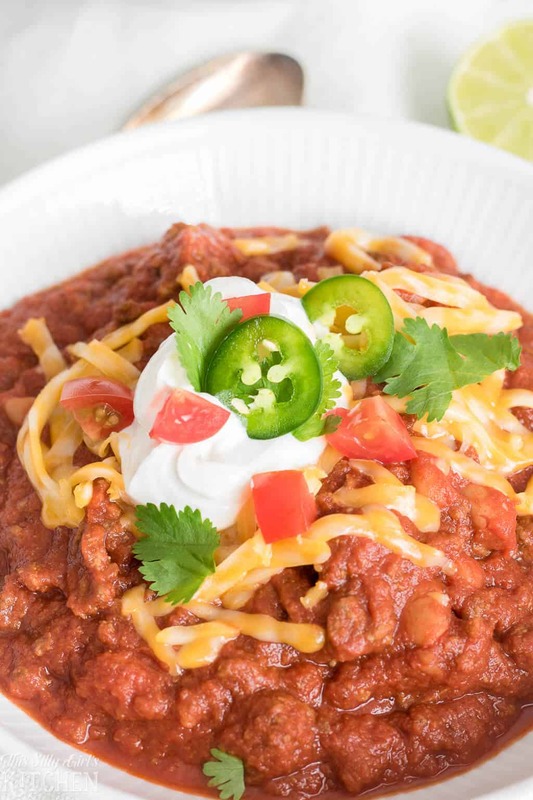 This slow cooker chili looks so good. It would be perfect for guests watchung the game sunday. I would like to make this sometime this week. It looks and sounds delicious.